Assistant Sarasota County Administrator Jonathan Evans will be leaving his position to become city manager in Riviera Beach, the county has announced. On Feb. 15, the Riviera Beach City Council approved his contract with the municipality, which is located in Palm Beach County, The Sarasota News Leader confirmed. 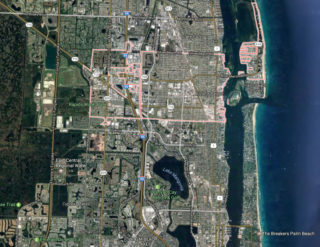 Riviera Beach, with a population of slightly more than 33,000, is located just north of West Palm Beach. Evans’ final day with Sarasota County will be March 3. Prior to coming to Sarasota in August 2016, Evans served as city manager of Haines City, which is in Polk County. “We wish Jonathan all the best in his new role with the City of Riviera Beach, and we thank him for his public service to Sarasota County,” said County Administrator Tom Harmer in a county news release. On June 21, 2016, Rick Sloan, public safety director of Haines City, told the county commissioners it was a sad day for his community, because Evans would be leaving it to move to Sarasota County if the board approved Evans’ hiring. “We felt that with his experience at Sarasota County, his expertise, his education and his credentials, he is well qualified to improve our city’s stature and lead us into a new era,” said Riviera Beach Mayor Thomas A. Masters in the release. As for Evans’ replacement in Sarasota County: “We want our community to know that we are committed to providing excellent customer service, and we expect the transition to be as seamless as possible,” Harmer said in the release. Evans was hired to replace Assistant County Administrator Lee Ann Lowery, who retired at the end of September 2016. 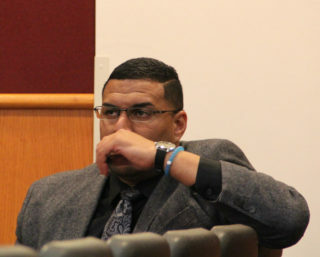 Harmer indicated last year that he wanted to bring someone on board who would be able to settle in before Lowery left.